Every month we have special deals and prices. Check out “Offer of the Month”. Contact us for more details about the financing options. Bring life to your garden or any other exterior place with a spa. Enjoy the pleasures of the moment with an open-air bath in which nature and comfort join together to give a perfect moment. Don’t wait for summer; hot water can became your perfect ally to fight stress and fatigue. Pamper yourself and enjoy the sights from the water achieving that each minute will be unique. In ProGibeSPA we will advise you in a personal way about which spa is better for your demands and help you to get the wellness that you are looking for. 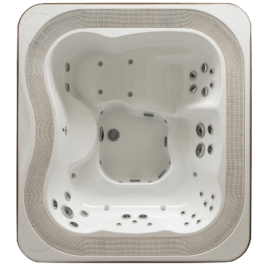 The spas from Jacuzzi® are well known for their stylish and modern design – both indoor and outdoor jacuzzis. In the design, apart from the elegance, the ergonomics and durability of materials also come into account. All of the details from the exterior and interior spas have been thought out to respect the philosophy of the brand. 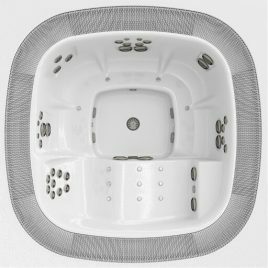 Jacuzzi® has 250 patents in the field of the technology of spas. 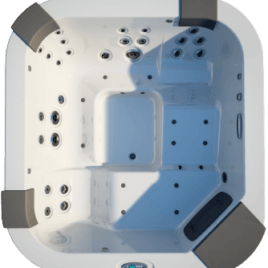 The design, the powerful jets of water, the innovative technology of the jets, the quality of these spas and the advanced technology guarantees that Jacuzzi is the best brand to choose when you are thinking in buying a spa. 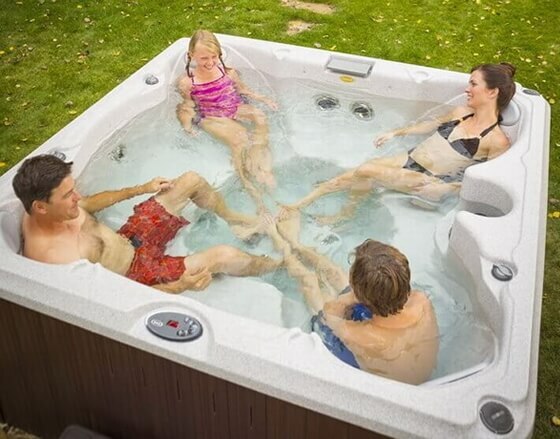 The spas, indoor and outdoor, offer endless opportunities to relax at your own home every day of the year. Spas give you a high health beneficial component. The hot water and the powerful massage relax muscles and arteries, helping to reduce stress. 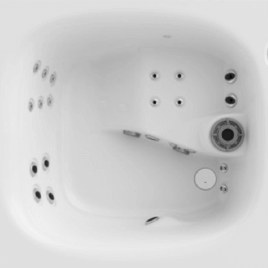 A Jacuzzi® is really comfortable and easy to use due to the fact that is always prepared to take a bath. 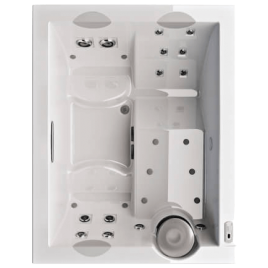 As well as that, thanks to its heating system, the filtration equipment and cover the tub, you can enjoy a nice hot bath at any time of day. On the other hand, the spas are very easy to maintain. The cleaning agent is added once a week and the water is changed every six months. 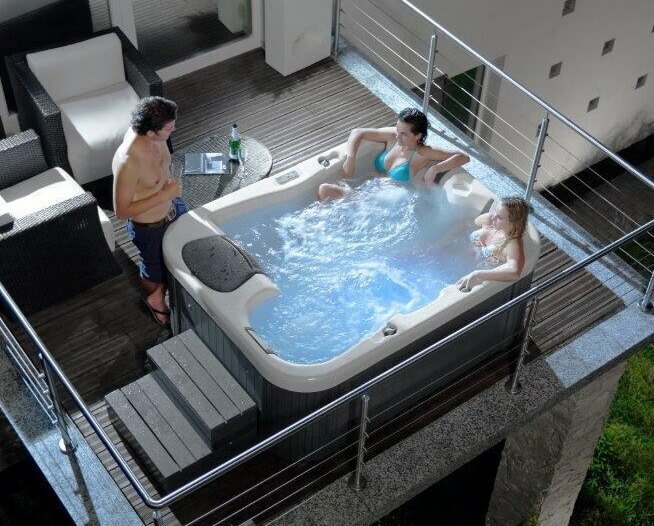 Jacuzzi® on balcony or terrace? 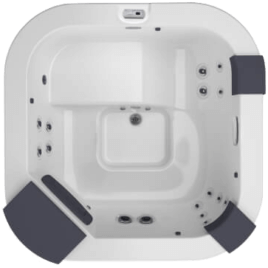 A Jacuzzi® is really comfortable and easy to use due to the fact that is always prepared to take a bath. 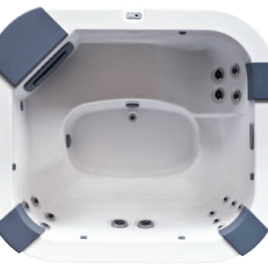 Thanks to its heating system, the filtration equipment and cover the tub, you can enjoy a nice hot bath at any time of day. 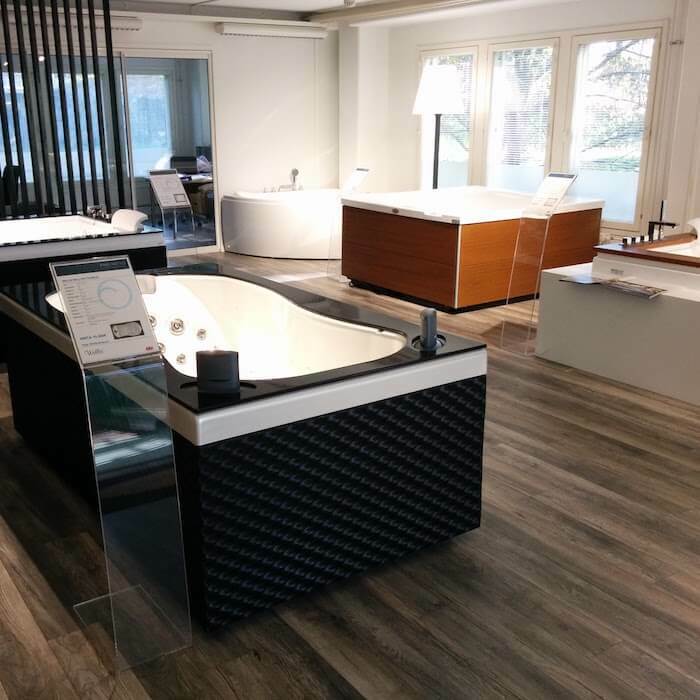 Come visit out showroom in Alicante and Denia and you will be able to see our hot tubs and the wide range of products with their different characteristics from all prices and sizes.